I can’t even say it. I can’t even think about the game yesterday. What? We llllll….. I can’t say the word. But I can talk about the bread and soup we made. We’re doing that again. Remember how we had our “road to the soup-er bowl”? We’re doing it again. In fact, the last time we did this, the Packers started out so slowly we didn’t even think they’d make the playoffs. So maybe this loss isn’t such a big deal. Anyways, you can see I need consoling today. My family and I took solace in the fact that at least we had soup to drown our game loss sorrows. I tried a new soup yesterday (asparagus) and it was delish! 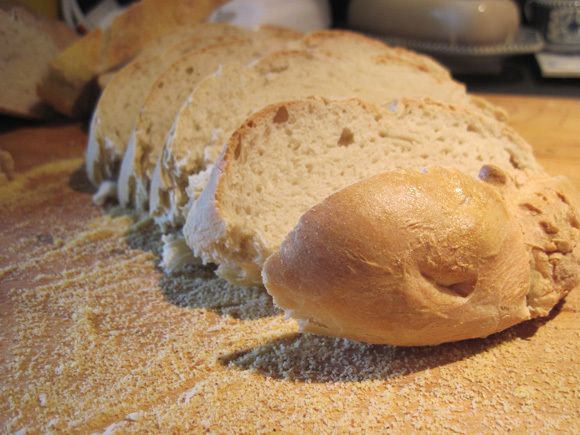 I also made some French bread. 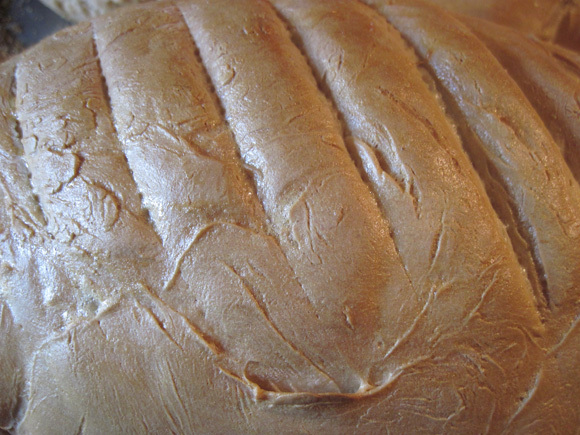 If you’ve never made bread, you need to try it. It’s very easy and there’s something about it I find very satisfying. 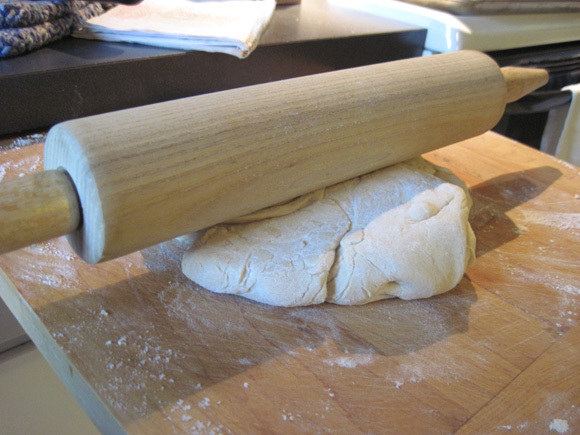 I like working with the dough, letting it rise, rolling it out, molding it into the shape of a loaf. 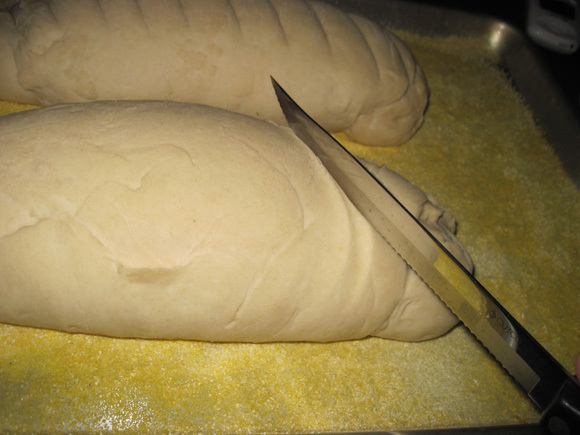 Here’s the French bread recipe I use. 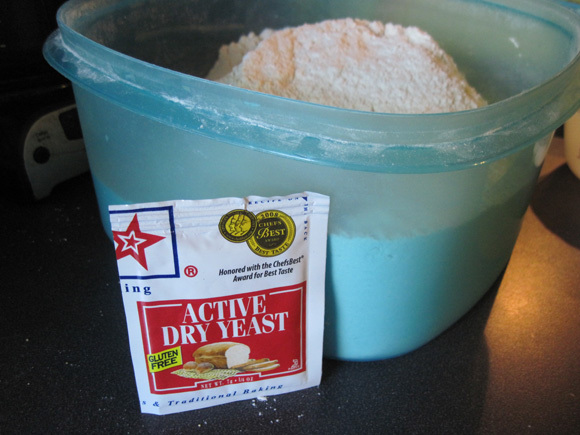 Put the yeast and water in your mixer, and let it stand for a few minutes so the yeast dissolves. 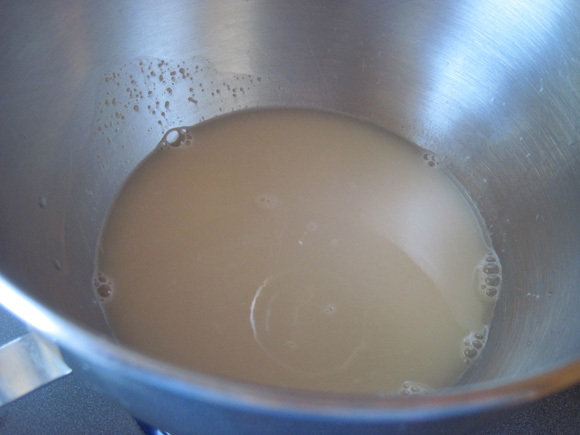 Then mix. 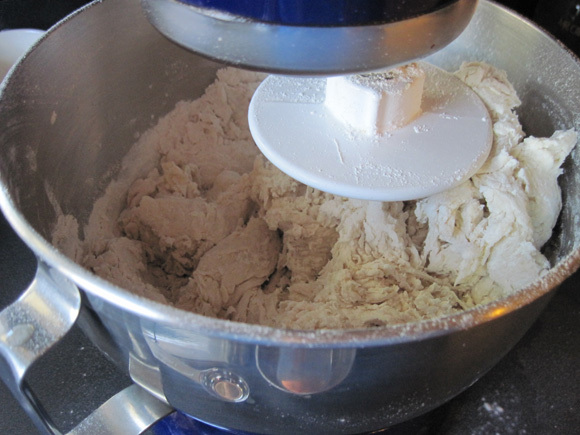 The dough will come together into a ball. 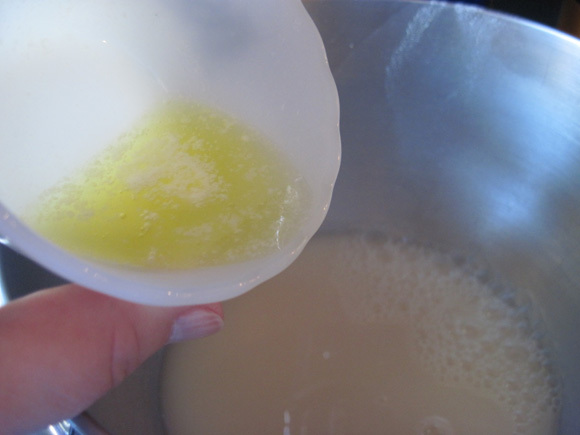 Spray a bowl with non-stick spray and put the dough in, turning to keep the greased side up. 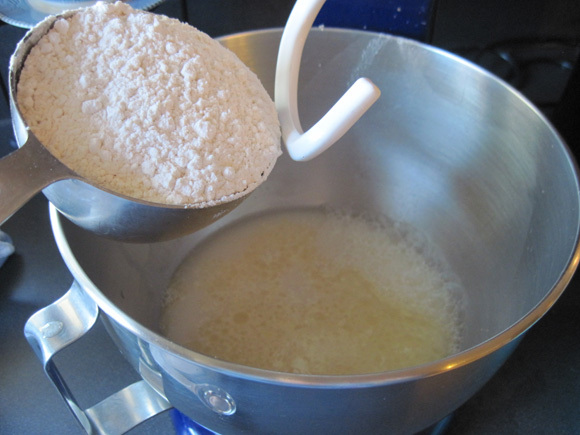 Cover the bowl for about an hour. 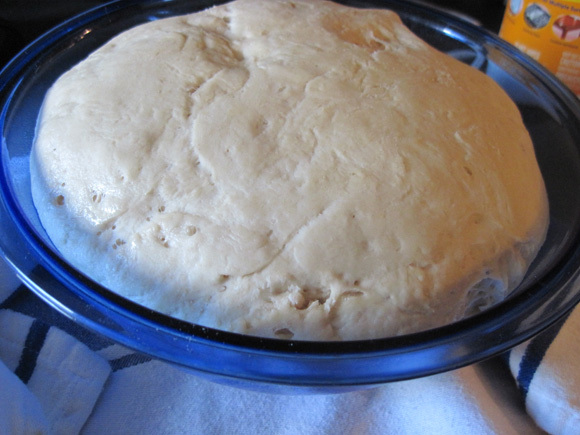 The dough will rise to about double it’s size. 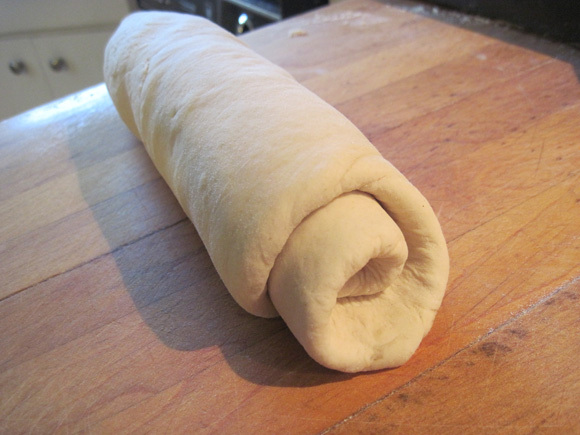 … and roll each side out. 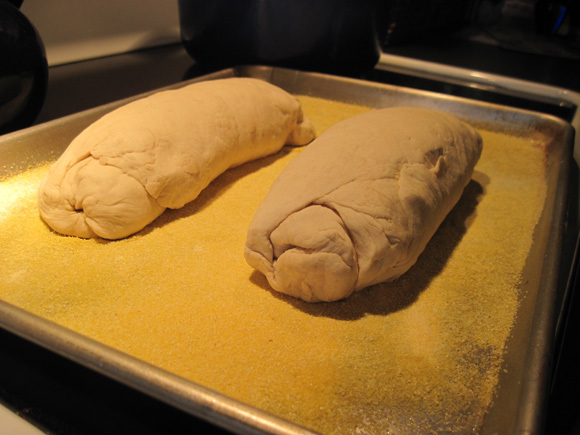 Then roll the dough up, pinch the edges down, and place both on a cookie sheet that has been greased and covered in cornmeal. 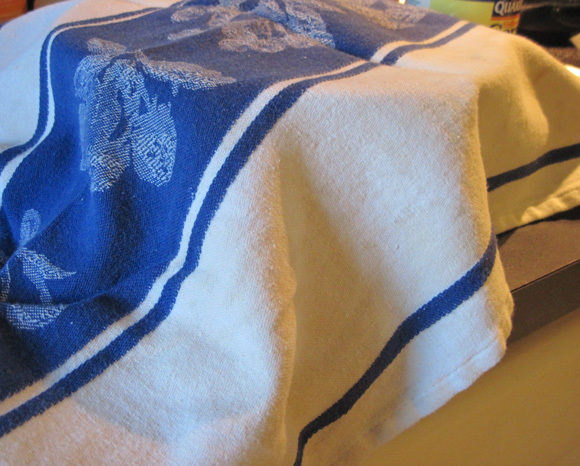 Cover them for another hour. 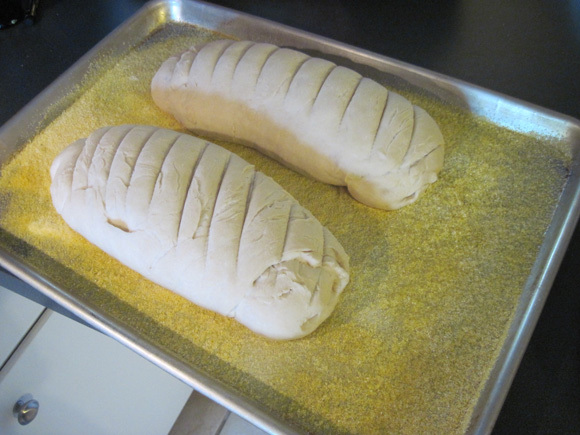 Preheat the oven to 450, and make cuts on the top of each loaf. 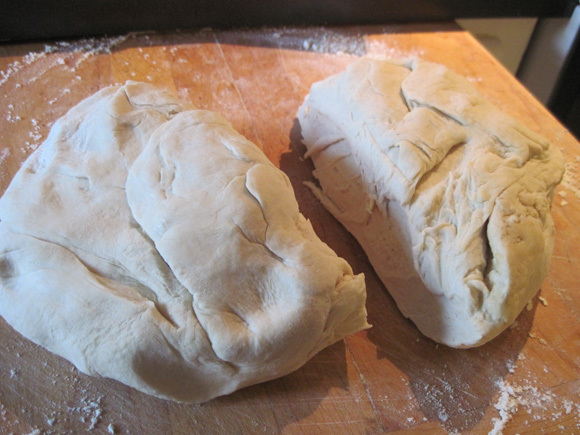 Bake for 25 minutes. 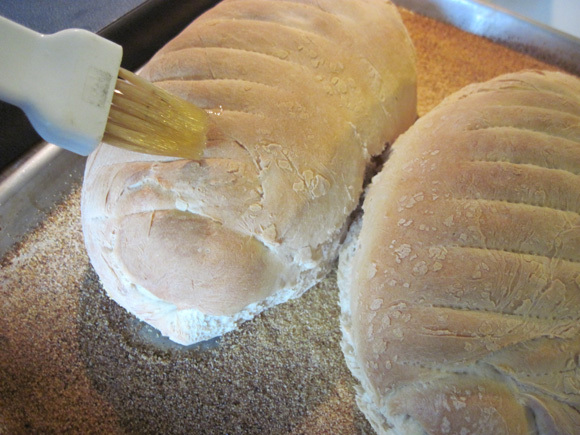 Mix up one egg white and a bit of water, then brush it on the loaves. It comes out nice and shiny and crusty. Now the soup. 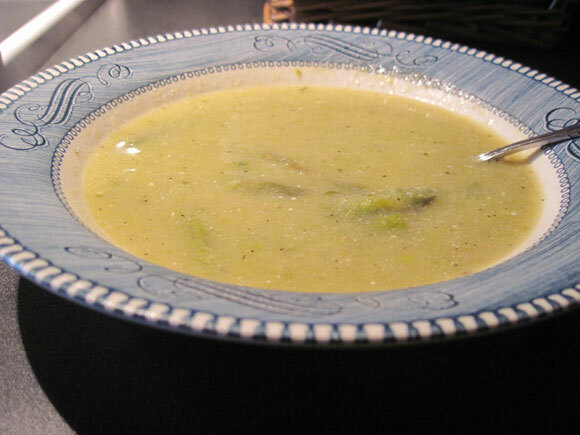 I made this “spring asparagus soup” recipe, and liked it, with a few exceptions. 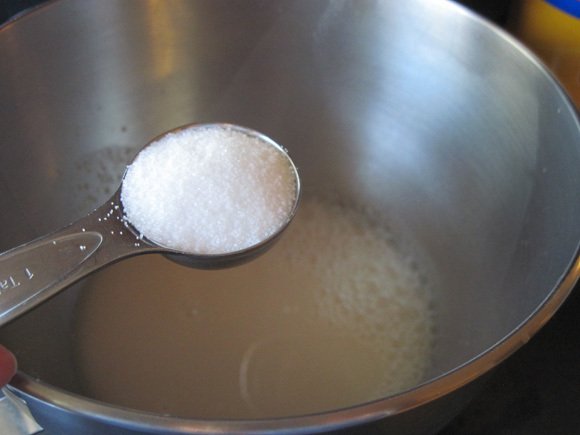 I used dry tarragon (half a teaspoon) because I didn’t have fresh readily available, and 1 1/2 t. salt and 1/2 t. pepper. Next time I make it, I’ll also use just a bit more asparagus. But other than those changes, it’s really good.